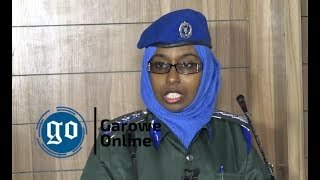 GAROWE, Puntland -The security forces of Somalia's northeastern semi-autonomous region of Puntland have arrested a freelance journalist and a member of the Media Association of Puntland (MAP) in Garowe town on Sunday night, Garowe Online reports. 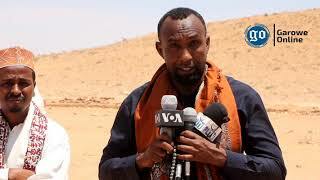 The Journalist, Omar Mohamed known as "Omar Dheere" has been detained by security forces and taken to a detention centre at the custom office located south of Garowe city, the same place where journalist Ahmed Ali Kilwe was held for more than two weeks in mid last July. There was no arrest warrant by a court for the Journalist, according a media colleague who spoke to GO over the phone. 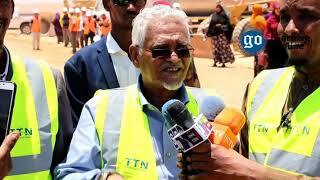 There was no immediate comments from the government on the Journalist's arrest. 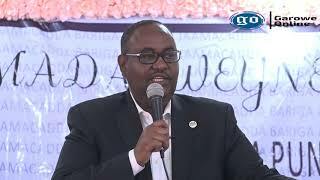 On Saturday, Mohamed posted a report on the financial crises in the state on his Facebook page, criticizing Puntland for labeling anyone refuses the fake currency circulating in markets as Al shabaab supporter. 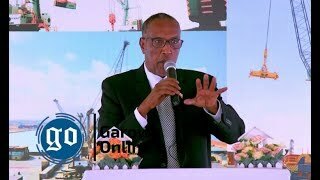 During his presidential campaign in 2014, Puntland President Abdiweli Mohamed Ali "Gaas" has promised to give more freedom to the press and allow the media to present their critic remarks of the government, but journalist said he fell short on his promises since his election. 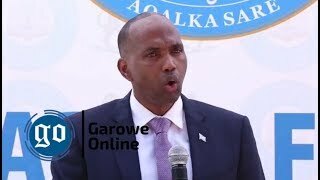 In the past few years, several journalists were arrested, some detained for weeks without charges in Puntland, raising concerns over the press freedom of the journalists working in the state.